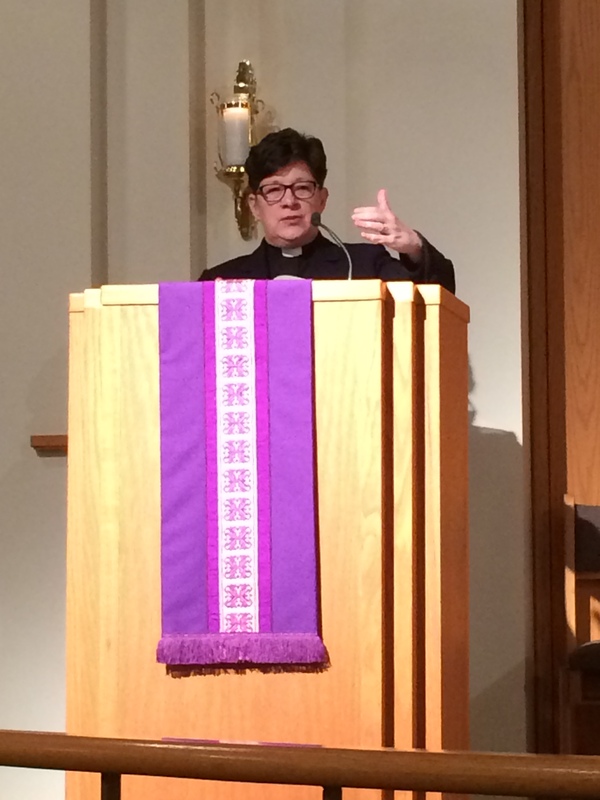 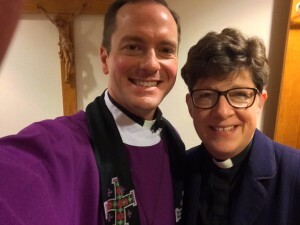 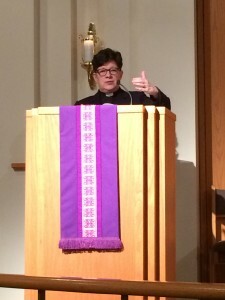 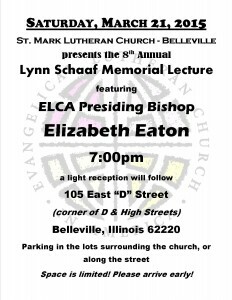 ELCA Presiding Bishop Elizabeth Eaton visited St. Mark the weekend of March 21-22, 2015 to offer the 8th Schaaf Memorial lecture on Saturday evening and to preach for a worship service held with both St. Mark and St. George’s Episcopal Church on Sunday morning. 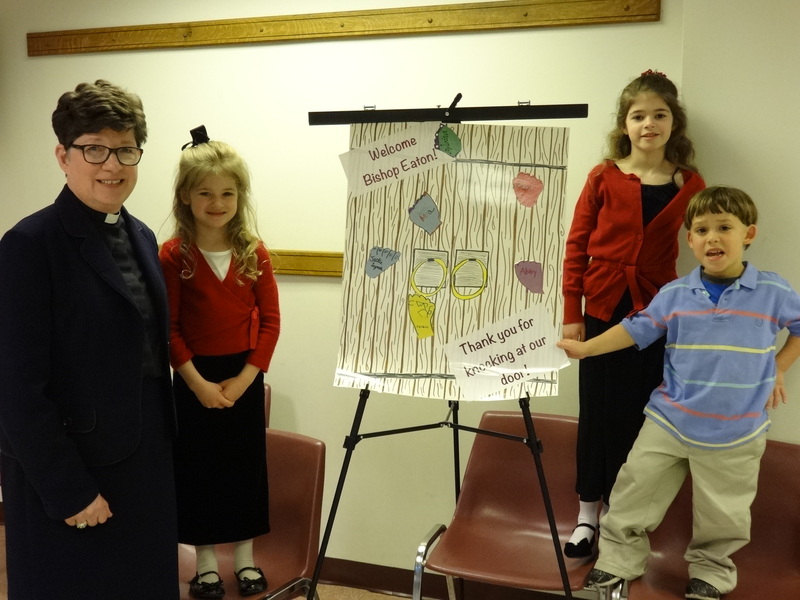 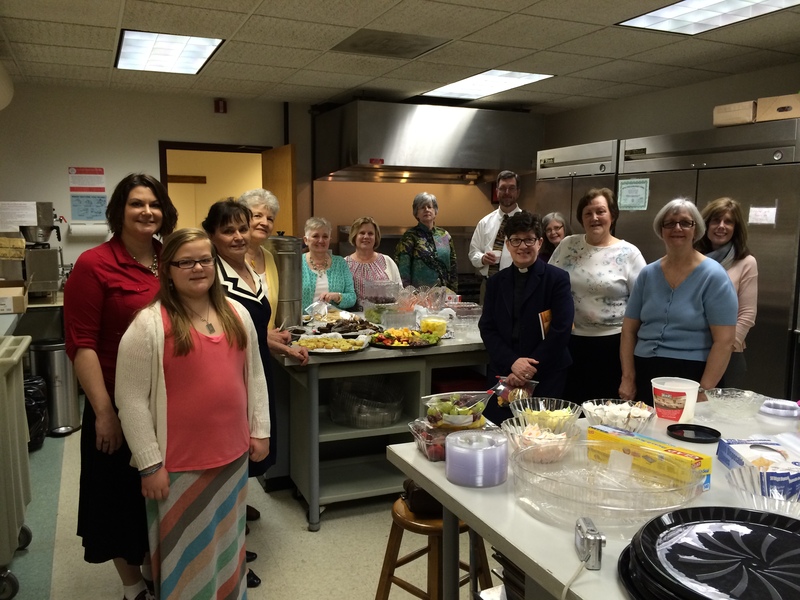 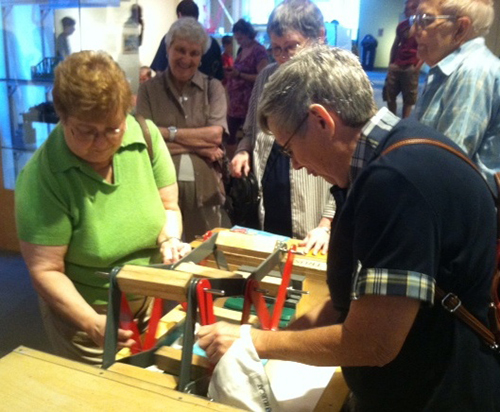 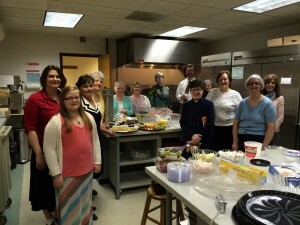 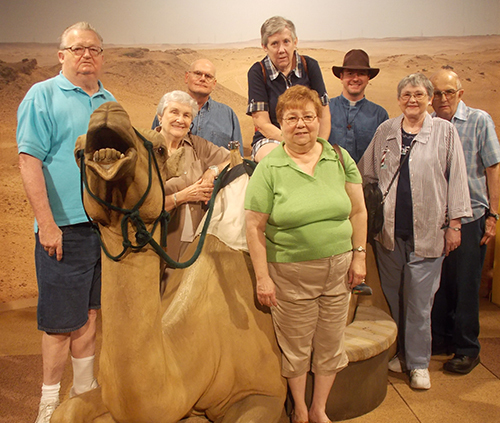 More than a year in planning, with the help of many St. Mark members, the event was a tremendous success. 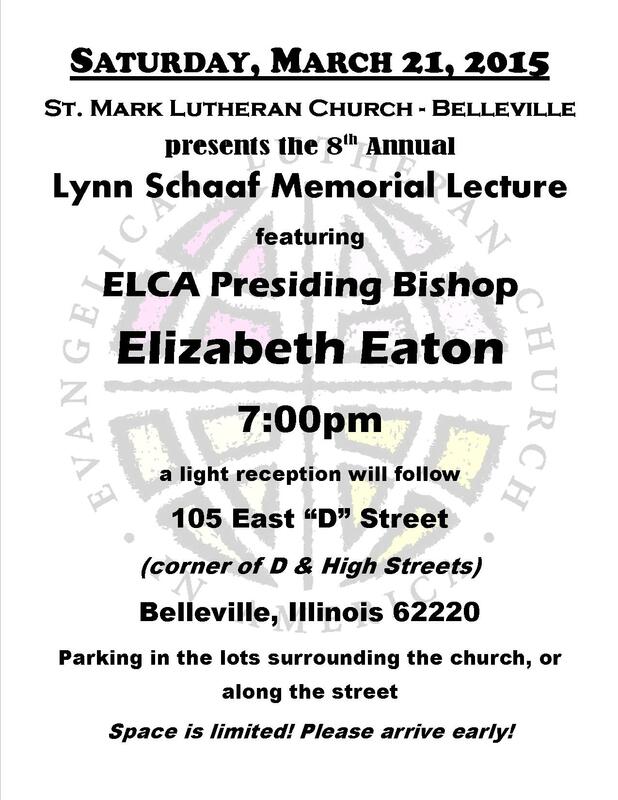 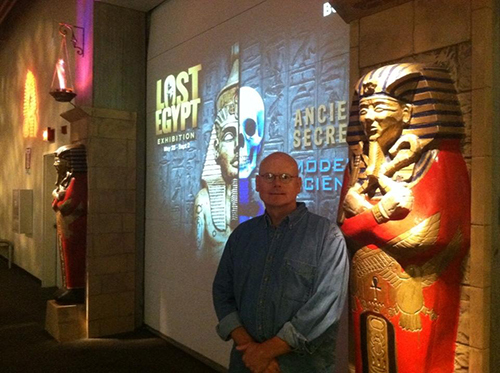 It was an incredible honor to host the Bishop Eaton. 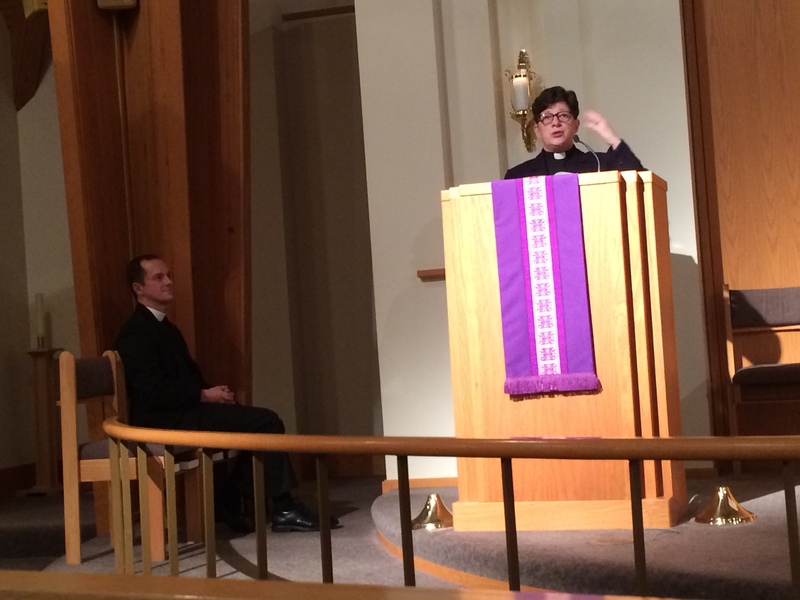 We are blessed for having had her among us, as is the entire Church she leads. 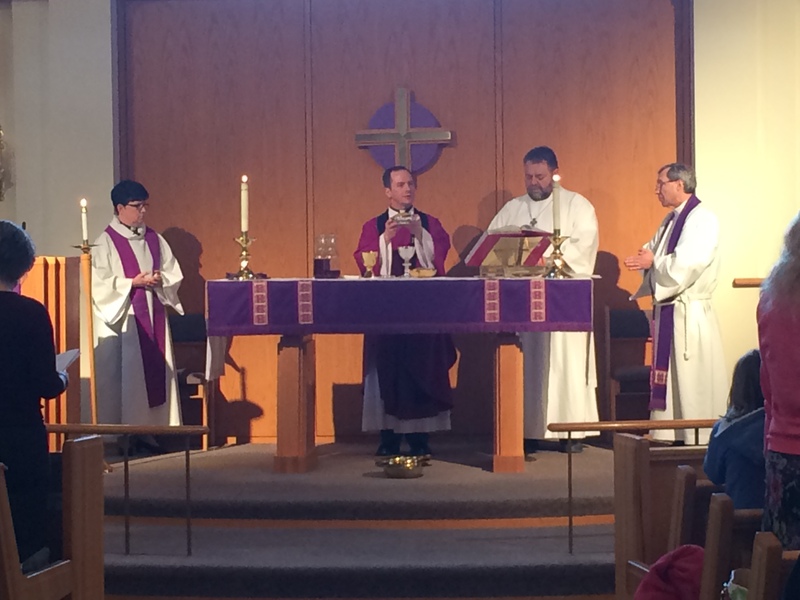 We celebrated a joint liturgy with St. George’s on Sunday. 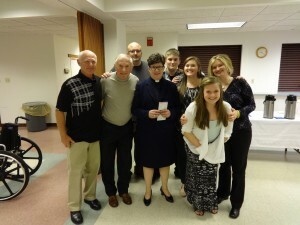 Bishop Eaton is on the far left, with St. George’s rector Fr. 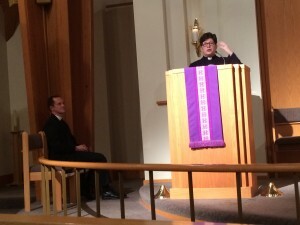 Dale Coleman on the far right, and assisting minister Brian Moeller next to Pastor Brian.